It was our first summer together and we spent a lot of time in our studio in the garage. 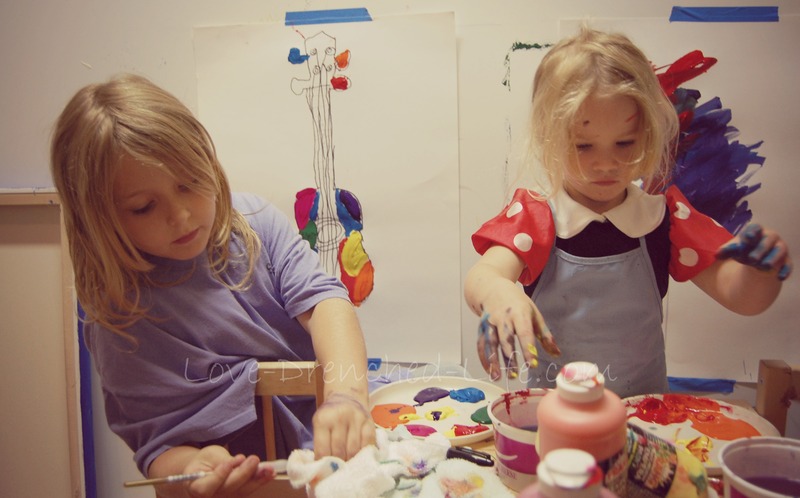 Both girls were natural artist and we all loved to be up to our elbows in paint. Abigail decided she wanted to paint something for her dad for Father’s Day. 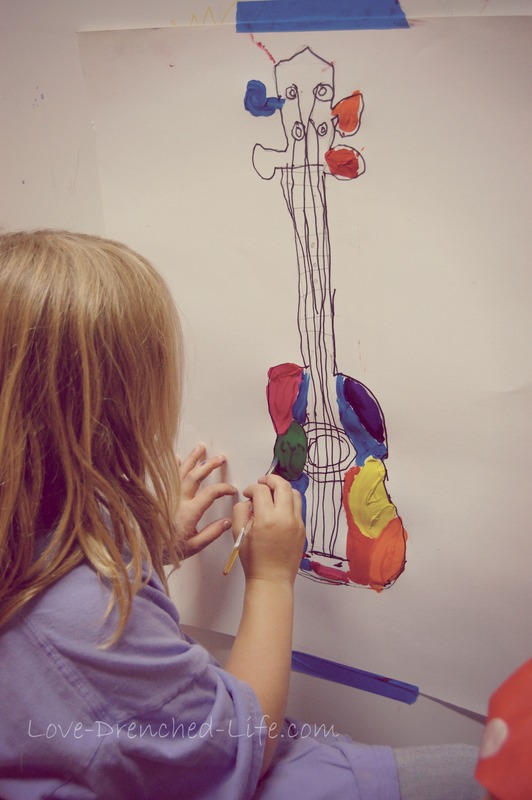 She knew she wanted to draw a guitar because that was his favorite thing to do ~ besides play with her of course. When it was all finished she asked if we could frame it. How young she was then and how very talented!! The best of gifts for a fathers day!! I love how you just let the natural artist come out in your girls. 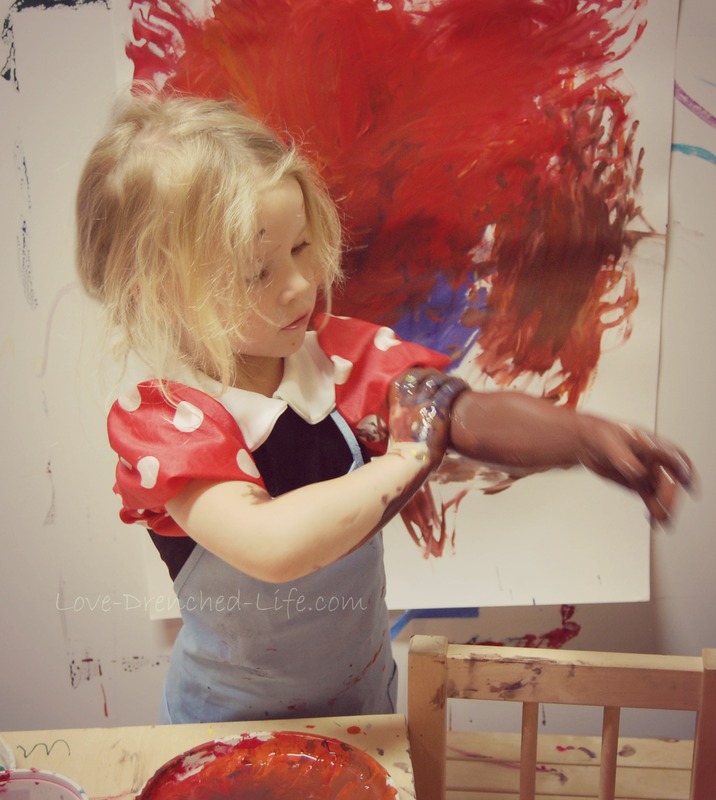 Even if it does literally mean ‘up to her elbows’ in paint.